The Gavita Pro 600W W EL / 400 Volt HPS Lamp has been designed specifically for 400 Volt / 600 Watt lighting systems as a replacement for the Philips Master Greenpower. 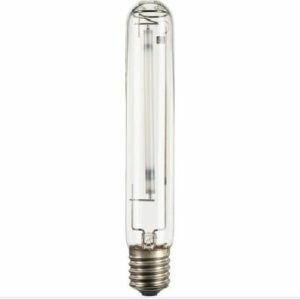 When used in a Pro HPS 400 Volt / 600 Watt system, this lamp will outperform virtually all other 600 Watt lamps and lasts for approximately a year! The Gavita Pro 600W / 400 Volt HPS Lamp is a single-spectrum lamp with the most plant-useable light output of just about any 600 Watt lamp on the market. The lamp produces light only in the orange/red part of the spectrum for heavy flowering. It has been specifically designed to make the most of your HPS Pro (400 Volt / 600 Watt) system where it will produce more plant-useable light photons, of a better spectrum, than any other 600 Watt lamp available.